Empty bullet casings from a variety of calibers "clinked" and "clanked" with every step along the shore of the aptly named "Guns Lake." It was years before the hippies would roll in, at a time where the sprawling 157 acres was owned and operated by members of the infamous Hell's Angels motorcycle club. What remains of that time are many still uncollected bullet shells, a large house, a massive lodge (inclusive of a jail cell) and local lore kept alive by those who shared the region with the Angels and those who have heard the stories. With almost a decade since the bikers called "Guns Lake" their home, a new direction has unfolded. Land owner, Robert Christy, purchased the land in 2015 with the intention of cleaning up the site and hosting an array of music festivals and events. One of the first changes came with the land's renaming to "Snug Lake Amphitheatre." "Snug" is "guns" backwards and would signify a new era for Robert, the site and a reclaiming of a genre of music in Jam! It wasn't long before the hippies and creative types began to make the trek to the site. Rob had grandiose visions of what Snug could be: An intentional community, a music venue, a place to host retreats. He began to assemble his small independent team that would begin that building process. 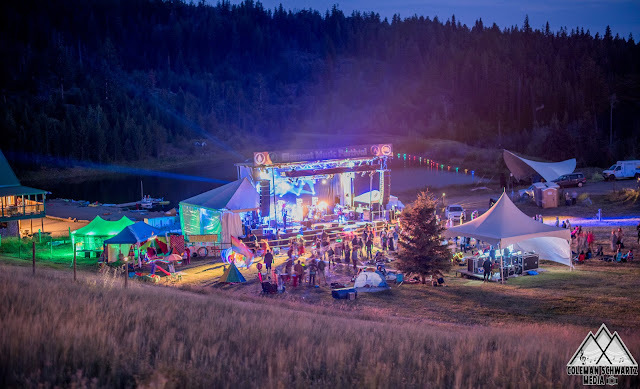 It started slowly with the team hosting its first event in 2016, a small gathering of family and friends under the moniker Element Music Festival. The event was a success and the rapid growth began with the return of Element in 2017. 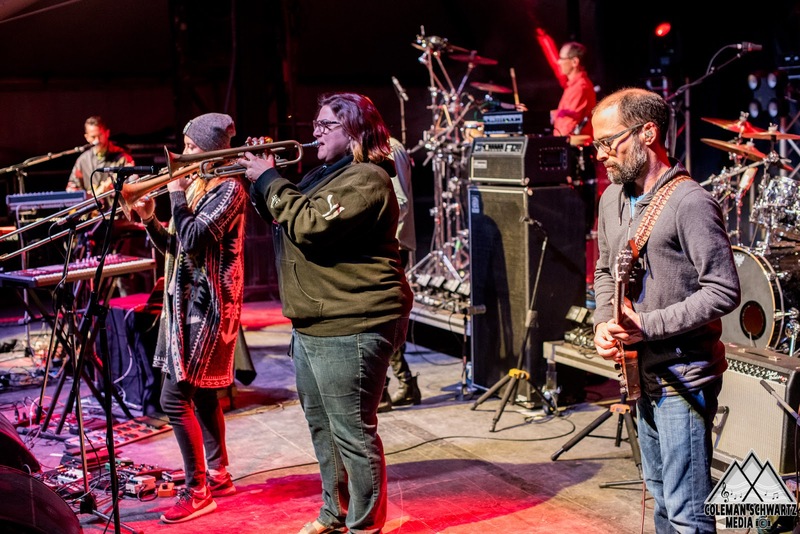 The team went all out welcoming jam giants The String Cheese Incident, Garaj Mahal's reunion shows, Steve Kimock & Friends and many more with Artists at Large Oteil Burbridge (Allman Brothers Band, Dead & Company) and Roosevelt Collier. 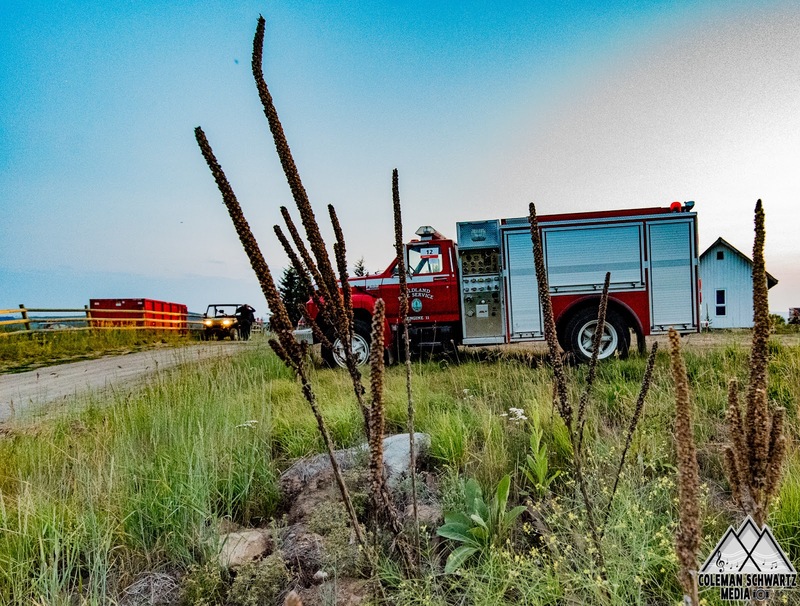 With the unexpected loss of one of the team's crucial members, Bruce McCaulay, in addition to forest fires in the region and all of the typical challenges of a first year festival, the deck was stacked against the team. Though the resulting output was an incredibly intimate experience for fans that put Snug on the map, it left Rob with a decision to make regarding the future of the projects. The choice was made to continue the building and by the time planning began for 2018's festival there was an influx of calculation that resulted in an equally impressive line-up to the previous year. Robert's vision of a pure jam festival continued with three nights/six sets of Lotus with multiple performances by Karl Denson's Tiny Universe, Spafford, Particle, Genetics, Yak Attack, McTuff, Naryan Padmanabha, GD/BC, The Unfaithful Servants, Baked Potato and Artists at Large Jen Hartswick & Natalie Cressman of The Trey Anastasio Band and Jason Hann of The String Cheese Incident. My time in the great white north would span six weeks and would mark my longest time away from my home and my country. What better time to be outside of the States, eh? The month and a half was spent in the British Columbia interior, ripping up and down logging roads on ATVs while dodging the occasional moose or bobcat. The days were long and filled with planning, and the meals, company and sunsets were beautiful. For the first time in my life I had the realization that I may have found my tribe. Leading up to the peak of my trip we explored local towns, a plethora of poutine and I came to decision that Canada is where I felt most at home. 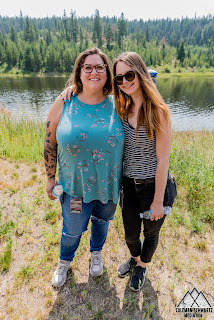 Logistical prep, building and decorating culminated with so many incredible friends and family arriving at Snug Lake with the same first impression, "Wow!" We've always felt that we just need to get folks to our beautiful corner of the universe for them to see it with their own eyes and understand what the team was doing. Genetics dug into the lower level of the lodge where the space became command central for some of our younger musicians to rehearse, party and get to know one and other. The main level of the lodge was overtaken by our kitchen staff who from the get go filled the space with wonderful smells and vibes. Outside of the kitchen in the venue/bar was our artist hospitality space set up with a buffet along the bar and tables and chairs for the artists to enjoy home cooked meals, farm fresh eggs and a variety of delightful treats. The lodge's wrap around balcony, freshly painted in forest green, became a space for artists and staff to hang and enjoy panoramic views of the beach, Lake Stage and Main Stage. The team held a meeting for the first time where a variety of things were discussed and the Hoser Cup was presented for the first time to the previous day's MVP. Our head of production, Andy Buxton was awarded the trophy to start due to his excellent oversight of a flawless load in and set up! The hosing began courtesy of our doorless Land Cruiser and a couple of hosers hosing as if dust suppression depended on it... and it did. My family arrived ready for the weekend with fifty MusicMarauders hats in tow for my BC friends! I got them situated in Rob's house and not long to follow Jason Hann arrived for a what would be a weekend full of laughs. Steve Molitz and Particle rolled in next, as if out of my jam past, though with a couple of new players since last our paths crossed. Along our camping ridge and through the aspen grove, beautiful camp sites took shape as vendors prepared their food and wears for consumption. The weekend's first hiccup came in the form of a failed Leslie speaker, which we initially thought was our C3 organ. A swift swap of the Main Stage's B3 and Leslie for safe measure resulted in the late conclusion of soundcheck before the evening's bands began the pre-party! Fan favourite Genetics kicked off the festival in The Barn. Atendees shifted across the site as not to miss the action and wisely so. The four piece out of Colorado/Michigan wasted no time shredding and kicking it into high gear from the start. 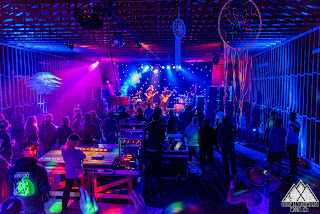 Black lights, psychedelic tapestries, disco balls and lasers complimented the soundscape and added to The Barn experience, as well as couches and tables to chill on in the back of the room. Things felt good as Genetics stepped aside for Portland based trio McTuff. As the band's set unfolded, surprised faces coupled with positive chatter about "how good these guys were" circulated throughout The Barn. Heavy organ and foot pedal bass, melted with heavy drums and ripping guitar for a sum that felt much bigger than its parts. To close out the evening, Particle took the stage to a room of music fans who were getting weird, dancing wildly, rolling around on the carpeted ground and letting loose in the safe embrace of Snug Lake. The sun rose on what would be a beautiful day in the BC interior. The air smelled of pine and the swallows dipped and dove in every direction. Coffee resulted in some great conversation, which resulted in cannabis, which segued into creative motivation. There were a few loose ends and tasks to tend to on the morning before additional guests arrived at Snug, but overall the site was clean and beautiful! The Lake Stage came to life for the first time, with Yoga hosted by Emmy Chahal and sitar courtesy of Naryan Padmanabha. Such a relaxing start to the day could only be followed by some transitional sitar from yoga to space. 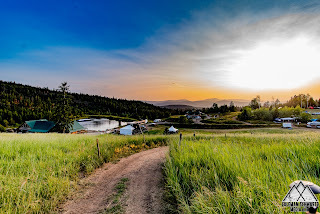 Sitar sounds bounced off of the lodge and climbed up the hill while the beach began to welcome swimmers and floaters to the gem of Snug, its lake. It was even more beautiful of an experience than we could have imagined. Artists at Large Jen Hartswick and Natalie Cressman arrived at Snug and barely had a chance to settle in before they found their way to The Lake Stage where Genetics were outputting an acoustic take on some of the band's classics. With the boys having played all three Elements, it was cool to see them in a different scenario and they nailed it. The set transitioned back to electric with Jason, Jen and Natalie joining in and throwing down! It was early in the afternoon and the day was already unfolding like a dream! At one point I peeked into the Elemental Wonder Wagon, Rob's vintage bus that was full of rocks and minerals, where I found he and his mother Dale handing out little crystals and stickers. At one point the Health Inspector arrived to poke around and concluded with Rob and I that everything was in tip top and that he wished he could return with his family to enjoy the event. McTuff opened the Main Stage and what began as a sit in by Jen and Natalie turned into a large portion of the set with the trio repping as a five piece. It was the perfect day time set to compliment the fantastic work of Big Fun Circus who was in full regalia and entertaining the young and old with bubbles, face painting and stilt-walking! Moments like that really exemplify the family vibe that Snug creates. The festival's staff from the green team to the kitchen to gates were all operating at full steam ahead ensuring smooth sailing for EMF heading into Particle's monstrous two hour set on the Main Stage. Jason Hann sat in on a couple of tracks and added a great layer to the refueled Particle! Resident artist and sign-maker Phil Evans was awarded the Hoser Cup for his wonderful work on a variety of projects! Dinner was served at the lodge and "local" Grateful Dead tribute band GD/BC set the scene for a wonderful flow from day to night. Up at Rob's house the mood was light and the vibe sort of summer campish as we jumped room to room, drinking, smoking and laughing. The sounds and lights of Lotus poured into the living room as Natalie made cookies for the house. Downstairs at Rob's a bunch of us piled into Hartswick's and Abby Radbill's (box office) room where a mini bar had taken shape and Jen was telling stories in a Jersey accent. 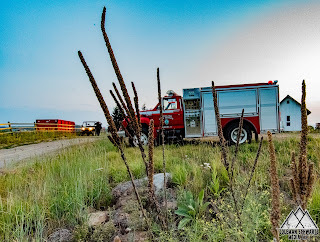 Things were getting loose as we gathered out on the patio; the vantage point was perfect to see the near full moon rise over Lotus and the lodge. Lotus opened with heavy-hitter, "Bellweather" and continued with favourites "Suitcases," "Shimmer and Out," "Flower Sermon" and "128" among many others over the course of two sets. The temperatures had dropped, but the energy was high coming off of the first of three nights of Lotus and heading into a Karl Denson's Tiny Universe latenight. Our staffers shuttled folks up to the barn which glowed a blacklight purple hue silhouetting inverted umbrellas and dream catchers. The funk was laid on thick and was intertwined with the music of the Allman Brothers Band. Soaring guitar peaked over a group with heavy chops lead by the now member of the Rolling Stones touring band in a little ole barn in our corner of the dense Canadian woods. Once again following the latenight a group of musicians, staff and family found party refuge in the safe haven of the lodge. Inside jokes began to take shape with laughter that hurt, yet felt so good. Night turned to early morning and the last of the stragglers made their way to bed if only for a few hours. Cloudy eyes opened to a world in a beautiful state at Snug. The sun was shining, people were smiling, yoga and sitar were just taking shape and we weren't even at the halfway point of the weekend. It was clear that there wasn't going to be a huge turn out, which meant it would be an even more intimate and attentive experience for our guests. The team felt great about the product and dug in deeper to enjoy the event. Coffee was brewed, breakfast was served, folks were already in the lake and enjoying some sitar before bluegrass. The Unfaithful Servants created a wonderful sound under the midday sun and to an appreciative crowd. In the lake there were rafts, canoes, a sailboat and people in their element in a picturesque setting. Word that a government official had arrived and was touring the site on a golf kart with security came over the radio. By the time Rob and I had a chance to intercept them on an ATV, our head of security had already offered to let him borrow a pair of swim trunks for a dip in the lake. The gentleman, who was there to evaluate our security team specifically communicated that he expected to show up to find a bunch of wasted hippies, but instead was thrilled to stumble upon a mellow and magical family vibe. Yak Attack arrived on site where they were greeted by myself on an ATV in a women's small crop top Yak Attack shirt. Not a pleasant sight, but the team and musicians got a good laugh out of it. A short time later and their Main Stage set was underway being enjoyed by a modest group in front of the stage and an even larger crowd in the lake and on the beach. Yak's two hour set dug deep into the jams and featured an enjoyable sit in by Jen and Natalie on "Swing Thiwi," with additional highlights coming in the form of "Marian's House" and "Radiant Kind." In my enjoyment of Yak I realized that I had yet to complete the "Surprise Set" line-up. A quick jump over to the Lake Stage and it was Naryan and Jeff Ervine navigating a plan for the set. I communicated that I would be right back with additional players, though I had no idea at the time who that would be. A short time later Jason was getting behind the kit, Phil Johnson joined on keys and Jen and Natalie showed up. It was clear that this was going to be something special as Naryan took the lead and Chuck Morris (Lotus) jumped up. Much like the previous year, the improvised set took shape like a dream as music fans made their way to the Lake for the special occasion. The musicians were having fun, the output was tops and out of nowhere a hippie shows up with a weed cannon, pouring cannabis into the contraption rapidly as if it were the end of the world. It was a hilariously chaotic moment, where I steered him away from the stage with a joint in my mouth. The night prior we had offered the following day's "Surprise Set" to Jen and Natalie. Halfway through what became Naryan & Friends, Jen leaned down to me and said "can we just do this again tomorrow?" It was clear that all involved were having a great time! Spafford pulled on site and as they were escorted down to the beach, the full scene of the property unfolded to their delight. By the time they got out of the van their excitement was palpable. They were introduced to Rob and before heading up for an early soundcheck I dropped a bullet in one of their hands and told them the story of the Hells Angels and Guns Lake. The story was received as if by kids around a campfire, with excitement and amazement. It was a fun initial moment with a band that we could see returning and growing with us. 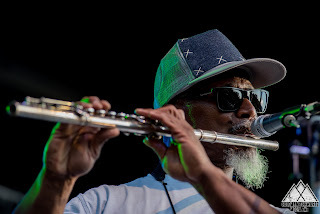 Karl Denson took to the Main Stage and there were repeats which didn't thrill me, though the set was energetic and the crowd enjoyed it. GD/BC played us through dinner again, with an impressive crowd and as I dined on the balcony over looking the lake, my father strolled up in a pair of flower overalls that I had sewn in high school. It was a hilarious moment on an already great day in my happy place! An amazing day turned to an wondrous night. Back at Rob's we layered up and headed out to the patio to enjoy Lotus among friends. Our artists at large were kicking back, drinks were flowing and Lotus was playing at a high level. Amidst all of the euphoria it was a repeated "come to Jesus moment" filled with hilarity and the kind of laughs that not only hurt your stomach, but your back as well. It was almost emotional with the realization that I was right were I wanted to be, with the people I love, doing what we all love to do. The full blood moon rose over the stage as Lotus put on a fantastic show with highlights that included "Jump Off," "Opo" with Jen and Natalie, "Livingston Storm," "Cosmosis," "Hammerstrike," "Nematode" and "Once In A Lifetime" with Jason Hann. Lotus was playing well and it was hard to fathome what they would play Sunday as they had already done so many classics. As more hilarity ensued at Rob's the music shifted gears towards The Barn for a latenight with Spafford. 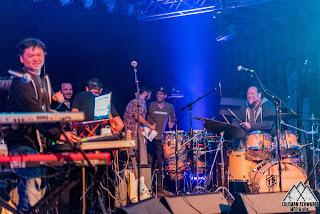 The show reflected a refined mastery rarely seen in a lot of younger bands, while extensive jams led the charge and Spafford played host Jason in between his hangs with attendees. Orlando Ekkert was awarded the Hoser Cup for his responsiveness and execution of any task that came up and through the night he could be seen drinking Kokanee from the cup in a celebratory fashion. As the night grew later, the party at the lodge became more entertaining and shifted gears to Wookie Lounge were the vibe was similar to that of a Burning Man structure. The hang that night got deep and once again, the rising sun put an inevitable end to the party, while welcoming a new day. The day began a bit hazy, but coffee and excitement solved that. The patio provided a great point for reflection while coming to on a weekend that we had dreamed about for so long. I was proud of our team who operated on a high level. I was proud of the risk we took and the resulting feedback we were getting up to that point. We still had one last day to ride the train into the station and we were going to make the most of it! 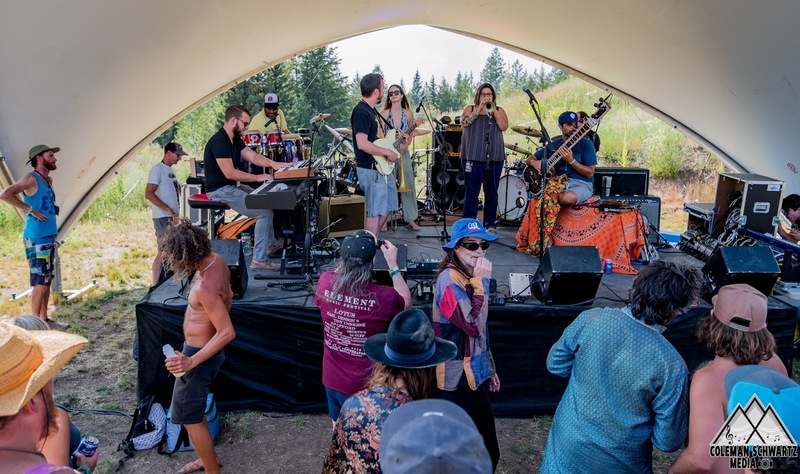 One final sitar and Yoga session was followed by BC's own Baked Potato and the surprise set on the Main Stage with a repeat of Saturday's stellar line-up and less structure. The festival was wrapping up swimmingly without any issues, meaning the staff could enjoy their final day of the event. I said goodbye to my family who had a flight to catch later in the evening out of Seattle and escorted them to the end of the driveway on an ATV. 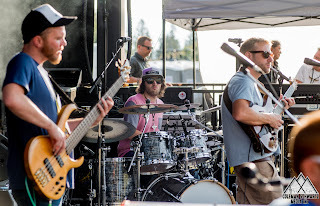 The Unfaithful Servants performed their second set of the weekend on the Lake Stage while members of Yak Attack and Spafford got into the kids' zone! 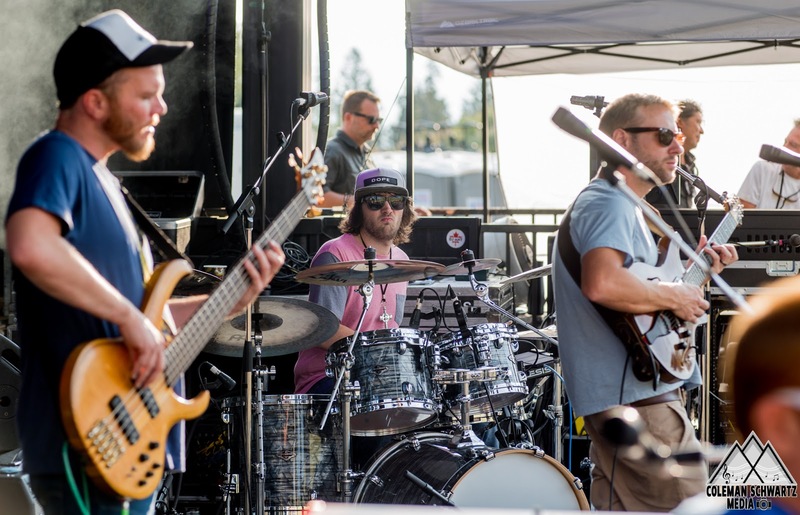 The Main Stage came to life with Spafford. Their performance was strong and the set welcomed Jen and Natalie on their final song of the weekend. GD/BC's performance culminated on the Lake Stage also welcoming Jen and Natalie, which made for a wonderful surprise as the sun set. Lotus took to the Main Stage for one final two set show that was a continuation of their high level of execution up to that point in the weekend. 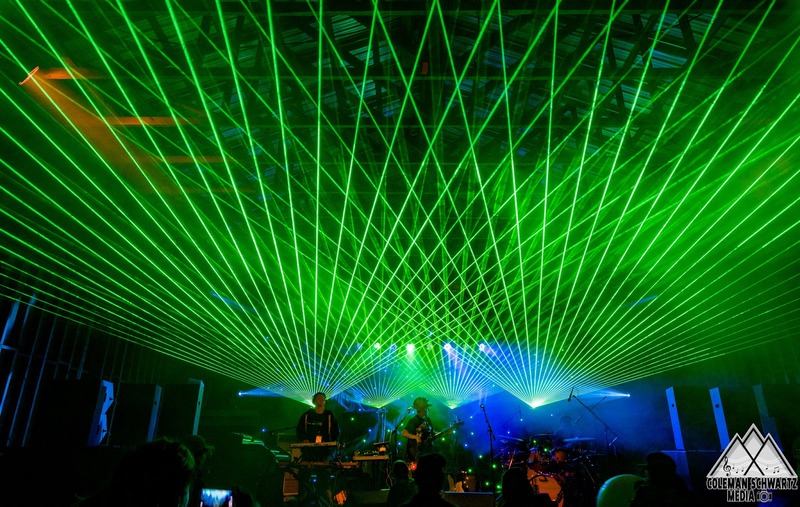 Highlights included "Juggernaut," "Spiritualize," "Lucid Awakening," "Wax," "Age of Experience" and show closer "Umbilical Moonrise." We couldn't have asked for more from our headliner. 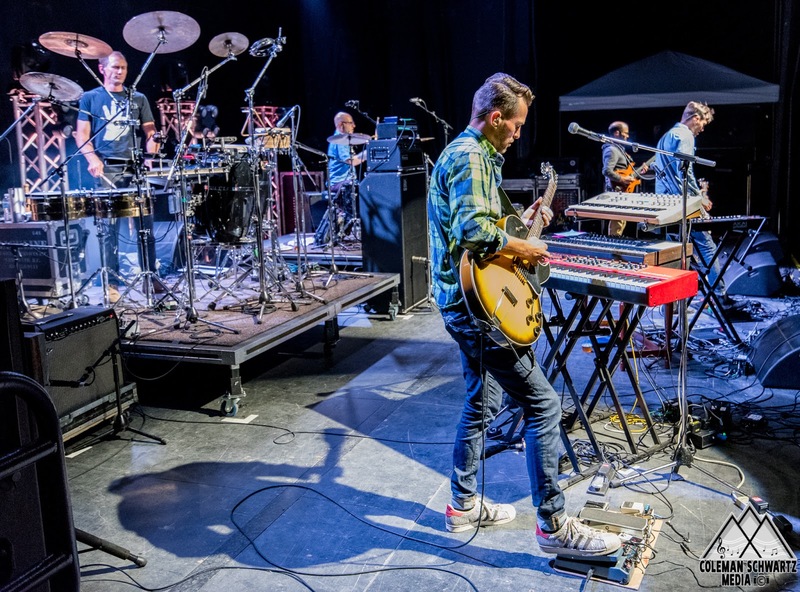 Over the course of three nights/six sets, Lotus dug deep and pleased fans who traveled from near and far. Riding the high from the Main Stage to The Barn, the energy up top began to peak as Yak Attack took the stage for what was supposed to be interlocking sets with Genetics. Yak created a dance party as lasers spread across the room and Genetics pre-gamed for their sets. The music came to a stop and Genetics took the stage. It was a bit confusing to the team as it was meant to be a non-stop flow. Genetics dove into heavy instrumentation as Yak re-pre-gamed for their final set. Another complete stop took place, Yak played their last set, a complete stop again and Genetics closed out the festival. Both bands performed the Stranger Things theme creating a cool crossover. The music concluded and slowly the early morning came to bring everyone back to reality. Back in the lodge, the recently awarded Hoser Cup winner, David Irish was made to drink from the cup by the kitchen staff in a moment of pure glory. Long days of sleep followed with clean up and the return of the site following the event. Immediately after the festival conversations began with members of our team to re-cap and get feedback while at the same time discussing the future of the project. It was an incredibly positive follow up to a near perfect weekend logistically. We just need people to take the leap and join us in the north. We need folks to trust that the border crossing process is simple and smooth. We want folks to know that once they arrive we will have everything they need for a great weekend including poutine! I often hear folks criticize the new festival model of packing a line-up with an insane amount of acts, overlapping sets and so many genres that the festival is almost without an identity. The same folks harken back to the golden day of jam festivals while suggesting that those days and those events have passed, to which I say "incorrect. Those golden days are now, the event you're looking for is Element Music Festival and we promise you won't look back." 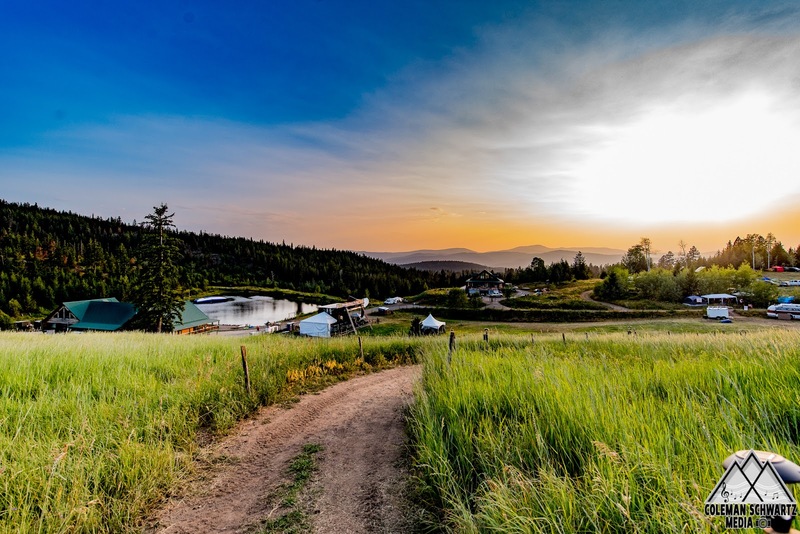 Head to the great white north and have a peak experience at British Columbia, Canada's premier boutique jam festival, August 1 - 4, 2019!